Congratulations to all of the randomly chosen winners for Caption Contest #14. Everyone listed below will be rewarded with 200 in their World of Tanks account. For your chance to win in a Caption Contest, stay tuned to the World of Tanks portal for the latest updates. Roll out! alusinic: I couldn't be a tiger they said, I couldn't be a TD they said. Well, look at me now! elmaswaton: This is ground control to major Tom. dragonkingofthestar: The experimental Luner map was quickly taking off the rotation for reworking. 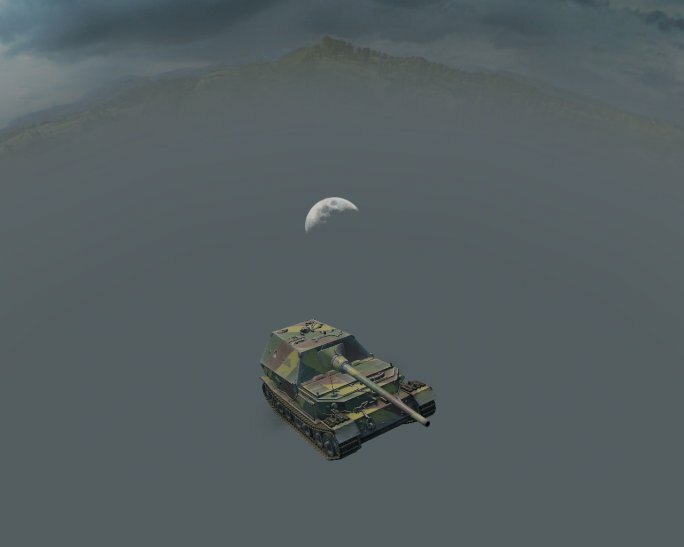 lolletje08: The use of light products have reached a whole new level, World of Tanks makes it possible to buy the newest light products in there tiers. way much better for the environment! xAzDKr: They will never find me here! superjimsmally: So this must be tank heaven. WarriorJoker: There's no cover...but we've got the high ground. bjm00: Best. Sniper spot. EVAR! Nincadaguy1: Can't get me now arty! JLune: One small drive for me, one huge long, like 200 mile drive for tankkind. Oh wait, NO. NO!! YOU'RE GOING TOO FAR!! AHHHHH-(signal ends). (Base) - Darn... we spent a lot of gold on that Ferdinand... Next time let's try with a Maus! Tiffis5000: Just jumped over the moon, now what? If you have an image you'd like to send in for a future caption contest, please send it to Major_Rampage@wargamingamerica.com with the subject line "Caption Contest." Please make sure to include your in-game name so we can give you proper credit (we never got the username for this recent image, so we can't thank his awesome person).